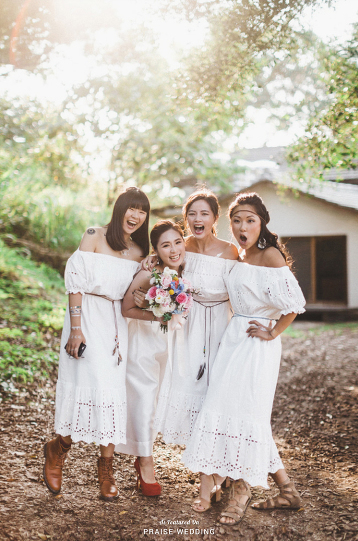 A refreshing bridal party portrait featuring boho chic dresses and endless smiles! Audrey Hepburn believed that there is a shade of red for every woman, and we couldn’t agree more! Drooling over these elegant red bridesmaid dresses from Jenny Yoo! 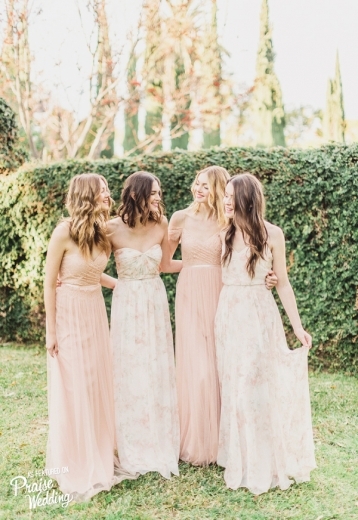 These pastel bridesmaid gowns from Plum Pretty Sugar featuring romantic floral prints are perfect for spring weddings! When “elegance” is the key word, you just can’t go wrong! In love with these classic navy blue bridesmaid dresses from Hayley Paige Occasions! 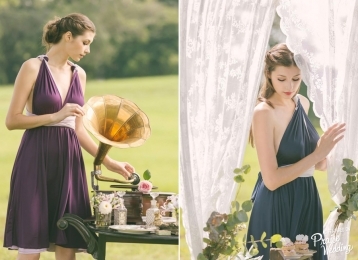 Elegant dresses from Hayley Paige Occasions for style-savvy bridesmaids! Will you be my bridesmaid? 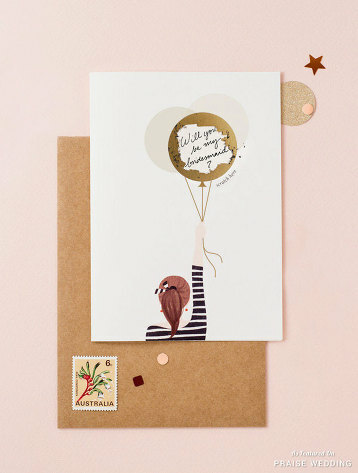 Pop the question to your girls with this adorable scrach-off card! 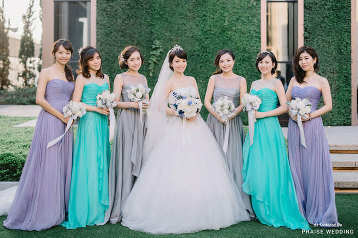 Beautiful bridal party portrait featuring romantic dreamy colors and effortless beauty! We know you can’t say I Do without your girls! 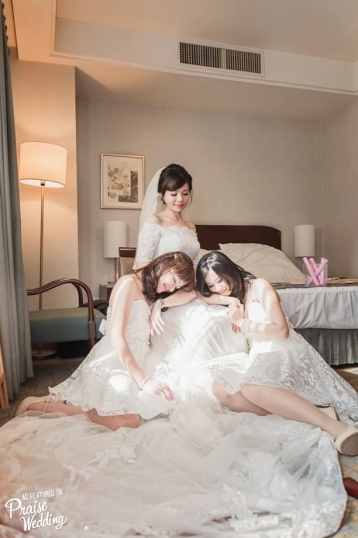 Capture a precious moment like this (time to tag your besties)! 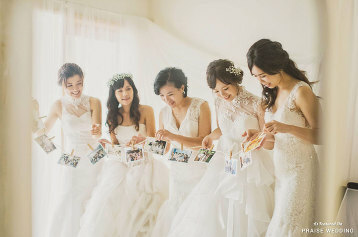 How adorable is this playful chic bridal party portrait! 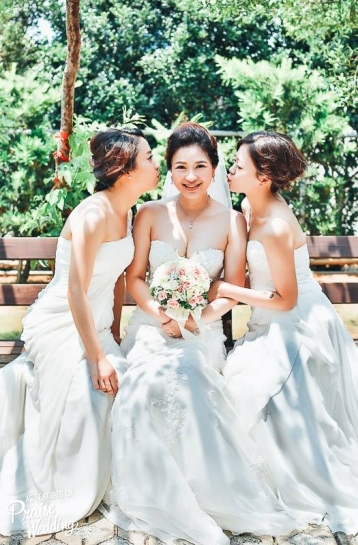 The idea of including your besties in your bridal portrait session is just too sweet! And these girls are our fashion muse! Ice Blue chiffon A-line bridesmaid gown featuring stunning beaded applique at shoulder! 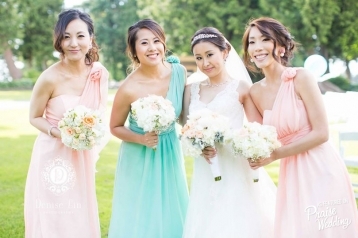 How lovely are these pastel bridesmaid dresses from Tarik Ediz? 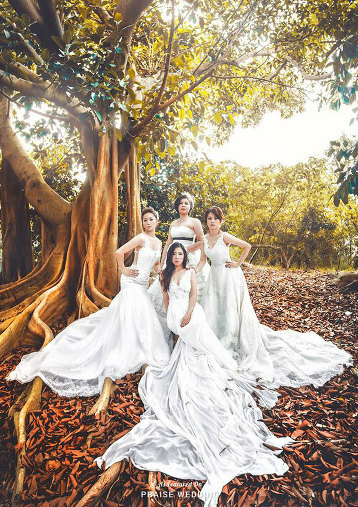 Every bride needs a breathtaking wedding portrait with her girls like this! 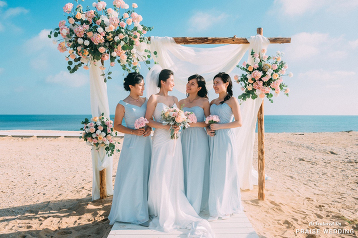 In love with Jenny Yoo’s pastel pink bridesmaid collection! Pick your favorites with your girls! If you’re on the hunt for the perfect dress for your girls, Jenny Yoo’s new collection will satisfy your desires! 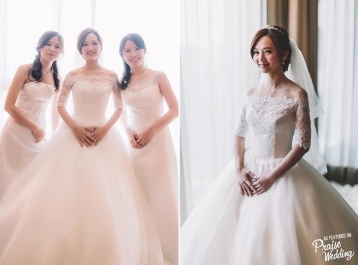 Everything from the Bride’s glittering wedding dress to the blush bridesmaid gowns evokes femininity and romance! Sisters are like angels in our lives! 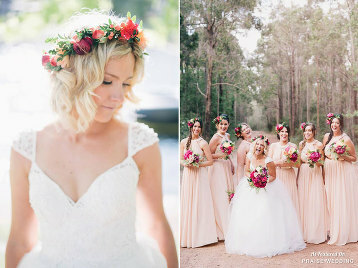 These vintage-inspired rustic portraits are overflowing with natural romance! 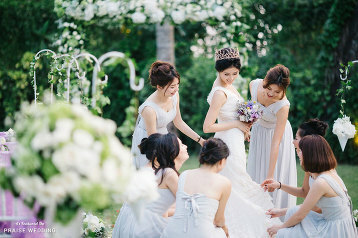 Have a little fun with your bridesmaid look!